Impress invited guests with a classic color gradient when you create custom party invitations with our Color Blend invitation card design template. Available in three unique color schemes, Color Blend is perfect for birthday parties, anniversaries, business events, and more! The front of Color Blend features a bold, attention-getting headline and event details over a fun fusion of color, bordered by elegant line art. 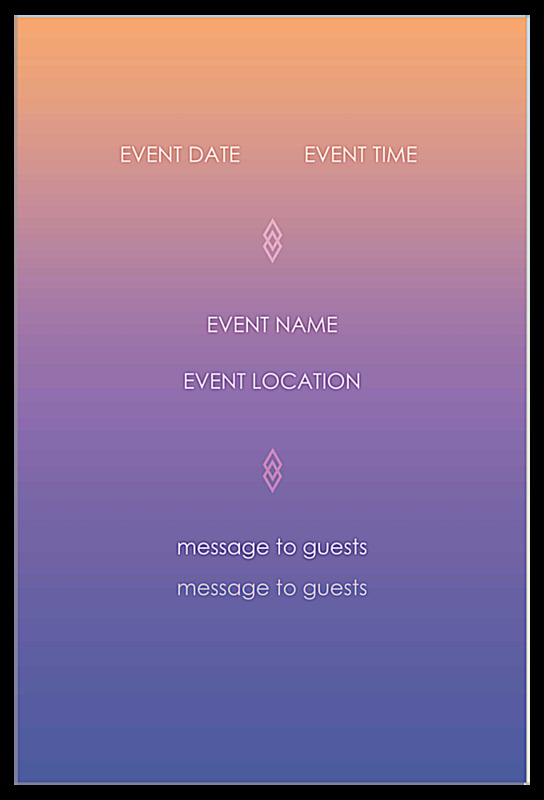 On the back, you can add your event details over the same gradient background: host name, honoree, date, time, location, a special message – anything you want! Best of all, you don’t need a graphic designer to print custom invitations. Make your own personalized invitations today with our online invitation card maker! Create and print customized invitation cards with our online invitation card design tool. It’s fast and easy! Simply choose your favorite template from our online library, pick your color palette, and then add your own personalized text. Adjust your layout and you’re ready to print. 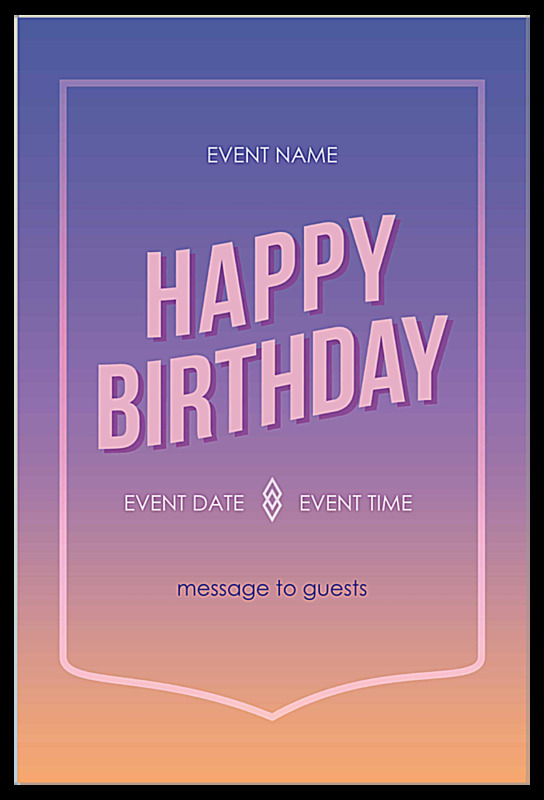 You can even generate a free PDF of your design to share to get valuable feedback from your family, friends, and team members before you print your custom invitation cards. Affordable pricing and great value make PsPrint the preferred partners for your online invitation card printing. You get cheap, discount prices without sacrificing quality. Plus, our 100% customer satisfaction guarantee ensures you’ll be thrilled with your final product! If you’re looking for other types of greeting cards, check out our online greeting card maker and our line of professionally-designed, free greeting card design templates. We also carry additional invitation card templates, including fundraiser, celebration, thank you, and more – we have templates for every occasion!